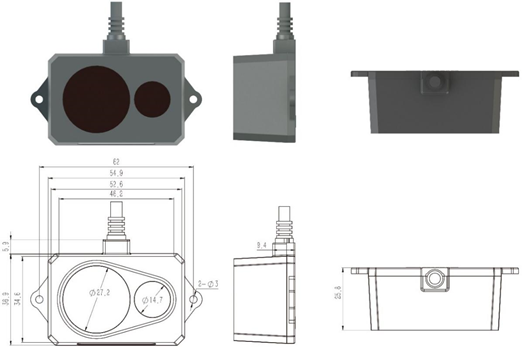 This product is based upon TOF (Time of Flight), supplemented by particular optics, electricity, and design, so as to measure distance with stability, precision, high sensitivity, and high speed. we need 25 units, is it available ? Could you please contact with order@seeed.cc? we can discuss more detail with you . I need to know if it's necessary to add other components of Grove Systems to complete the TF 02 (batteries? PCB board? Microcontroller? Read-out SW?) and if it's sufficient to integrate it in indoor/outdoor domotic sensor application (gate control, proximity and volumetric alarm sensor, etc.etc.). I NEED THE QUOTATION FOR 10K, 50K AND 100K UNITS. Hi there~ For the custom design, please contact our email,I am sure our ODM department will help you, Regards: techsupport@seeed.cc.